Is there a place for dogs in today’s theatre world? Perhaps not as patrons or actors, but a new made-in-Ottawa production is shining a spotlight on canines — lovable labs, in particular. 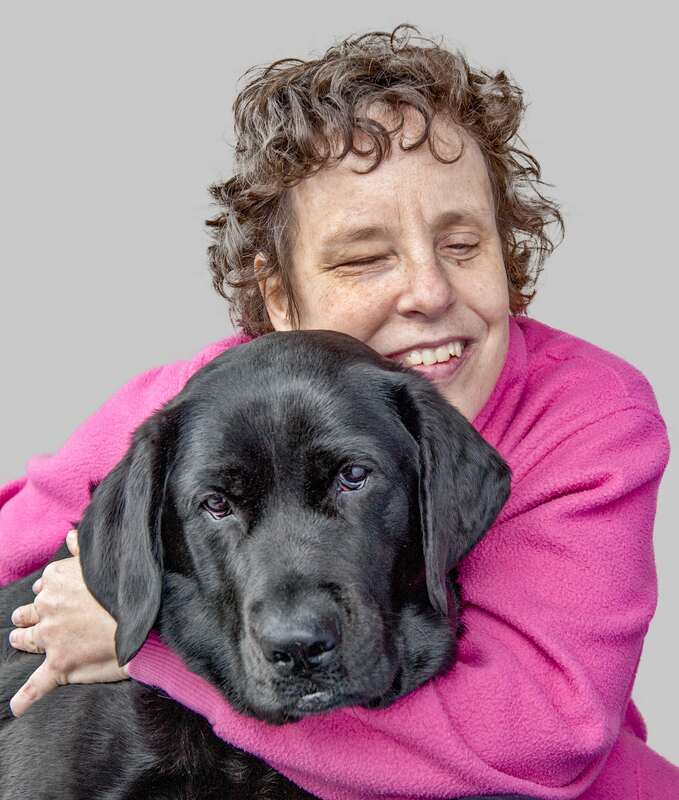 Inspired by guide dogs, Raising Stanley/Life With Tulia is a play that aims to show heart-warming, hilarious, and philosophical moments of life with a guide dog. And to talk about guide dogs means talking about life as a blind person — and to do that, to really dive into the experience, calls for a whole new approach to accessibility in the arts. You could call it a one-woman show — storyteller Kim Kilpatrick, who was born blind, will hold the stage — but that might overlook the role of artist Karen Bailey, whose paintings will be projected as part of the performance. Those paintings show guide dogs at work and play, with their handlers and their foster parents, and were the starting point for this very special collaboration. Blind since birth, Kim always strove for independence and always loved the arts. Seeing a lack of disabled people represented in film or books — or at least not realistically — autobiographical work became the focus of her creative life. “I didn’t want to box myself in, and yet those were the stories that people needed,” she says from her Centretown office. She soon found her “happy place” in storytelling — a medium allows her humour and insight to take centre stage. 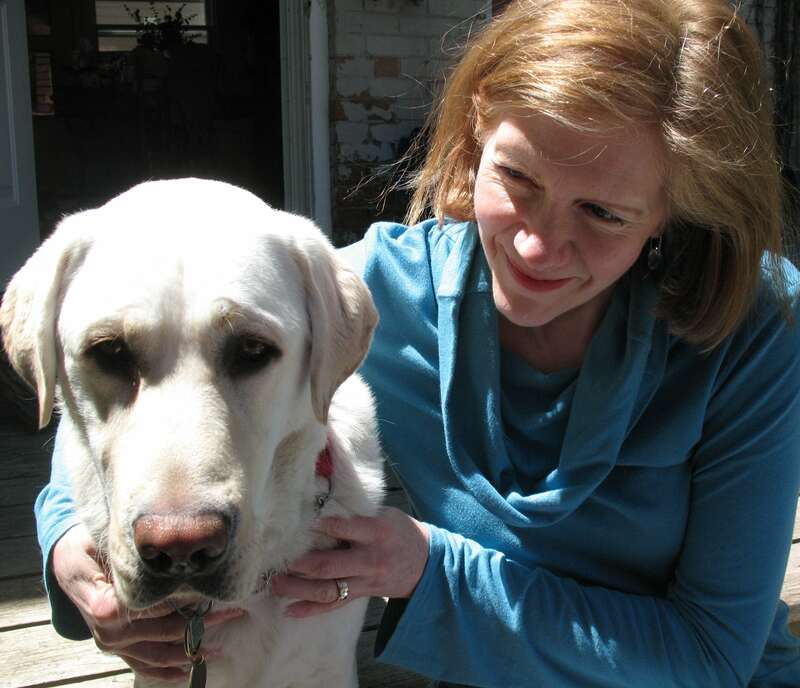 Her first pup was a black lab named Weston; but guide dog life wasn’t in the cards for Weston. A heart murmur was detected, and he was taken out of the program and placed in a ‘forever home’, unknown to Karen. Nonetheless, she was hooked on raising guide dogs. 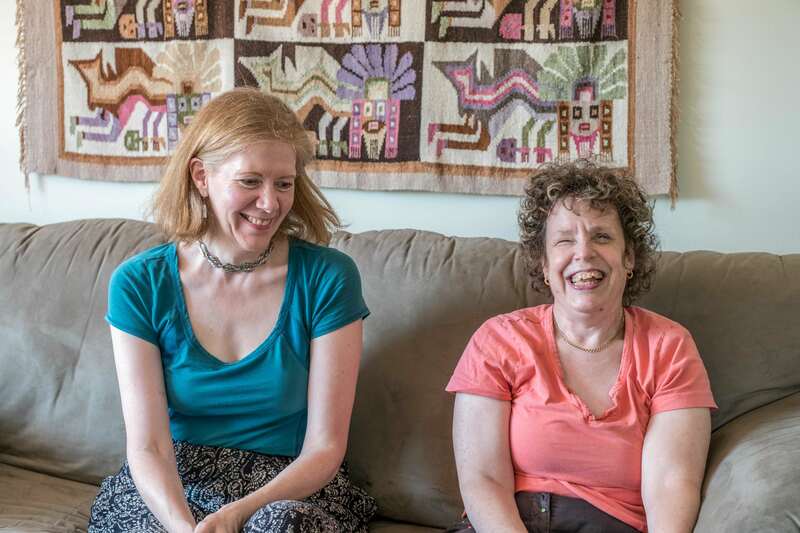 It was over a year later when Karen and Kim connected again — this time in Karen’s studio, for a portrait of Kim and her guide dog Tulia. At the time, Kim was hesitant about the process. “I don’t know visual art. I can’t see. I always found it boring. I had heard about the Governor General portrait, but I wasn’t intimidated,” Kim recalls. While Karen painted, the two talked about creating, getting stuck, and tackling artistic obstacles. Bailey would describe the portrait, the decisions she was making along the way, and Kim got the chance to hold a puppy — Stanley, the new yellow lab Karen was raising. That statement — that a person who has always been blind would engage, critically, with an art form so reliant on sight — hints at the power of this new play. “At the beginning, I thought I’d just do the script, and let Karen do the visuals,” says Kim. But as the play developed, the collaboration became closer. Kim chimed in when about which paintings should go with which stories. This was not going to be an ad-hoc attempt at accessibility; rather, accessibility would inform every decision. Raising Stanley/Life With Tulia may be dubbed as “the journey from puppy to working guide dog for the blind” but this play is not just about puppies. It’s a whole new take on accessibility in the arts and the story of true artistic collaboration — but those lovable labs surely play a role.